It's a day for LOVE, Happy Single awareness day, a day that some people dread, a day that anywhere or everywhere you look there are bouquet of flowers and sweet nothings. But to be honest, for me, Valentine's Day is a day not only for couples. It's a day to celebrate the people you love. Hearts day can be with you Mom, grandparents, brother, sister or even your best friends! :) Love is everywhere! This Valentine's weekend, let your never-ending love story begin at Ayala Malls. With fun activities for the young and the young-at-heart (that's me! Hahaha! ), lovers and friends, artists and muses, you will surely find something to love at Ayala Malls. At the launch... loved the setup of the table so much! Ayala Malls, an avid supporter of the arts and propagator of culture, gathers the most talented, young artists in the country and provides for them a canvas on which they can fully express their love for life and their passions. Hence, starting this February 14, Ayala Malls stages an awe-inspiring exhibit of art installations - the HeART series. All these artistic masterpieces - from evocative to the quirky - will tickle the human imagination. Discover the curious and creative artwork as you leisurely take a stroll around your favorite Ayala Mall. Truly, what a great way to spend Valentine's day. 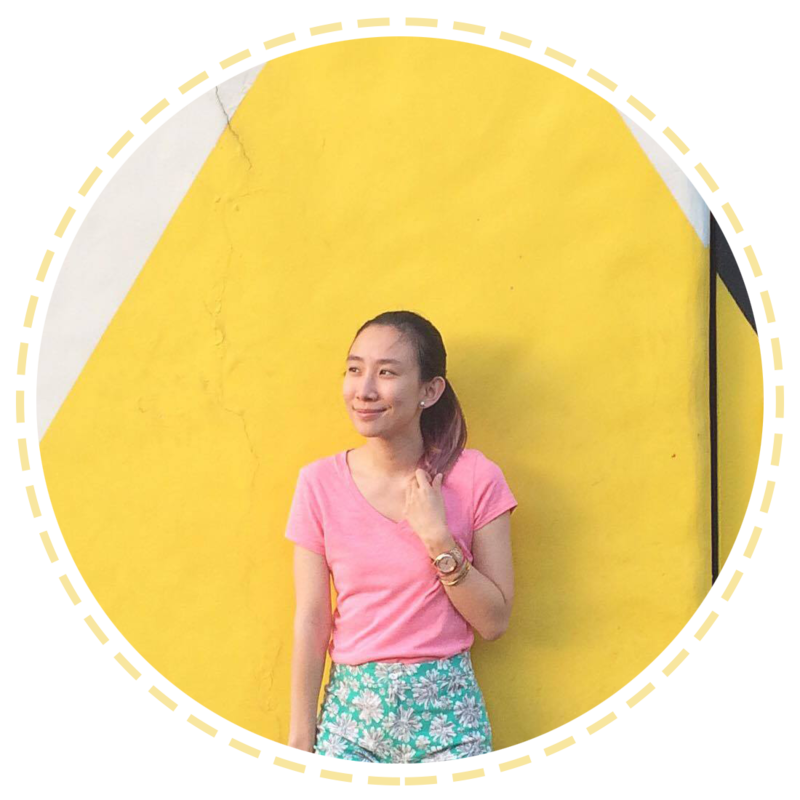 I love anything artsy, so spotting artworks at the mall will be a unique and fun experience. :) I wouldn't want to spend it any other way! In Glorietta, find the beautiful works of artist Mercedes Olondriz and renowned crafter and pattern designer Alessandra Lanot. Amy Francisco-Cabral and The Googly-Gooeys will be beautifying the spaces of Market! Market! and Serendra, respectively. Filipino-American graffiti artist Dee Jae Pa'este creates an artwork reflecting a "mixture of old world aesthetics and new world consciousness in Bonifacio High Street. Young artists - Kris Abrigo, Egg Fiasco and Seiko - proudly share their more contemporary touches in Trinoma, while UP Town Center allows the graffiti-inspired art of Drone takes center stage. At the Marquee Mall in Pampanga, Marcushiro and Bru of Electrolychee will amaze the public with their colorful vector art and hand-drawn imagery. Renowned young artist Farley Del Rosario's amusing works, on the other hand, will be on display in Harbor Point Mall. Down south in Soledad, Serin and The District Imus, artists Tripp 63, Chill, BLIC, and Fine Arts students of Adventist University of the Philippines will bring a thriving street vibe through colorful, graffiti-inspired artwork. Catch community-based artists for the Vismin Malls. At Abreeza Mall, visual art students from the University of Mindanao explore the "Lov'em" theme in different media. No matter which Ayala Mall you will be at, you can discover and relish the creative whims inspired by love this February 14! Aside from that, you and your date can also enjoy sweet treats from LOVE BITES at Greenbelt 3 Park! I remember this is where my then-boyfriend-now-husband used to date! Aww memories! Love is also all about bringing people together, and this is why Ayala Malls is proud to launch products and services that bring connectivity and power at the tip of your fingers. 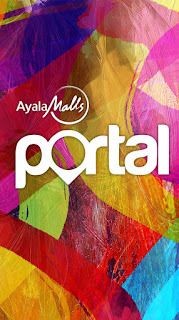 The brainchild of Idea'Yala's Team Barkadayala, the Ayala Malls A-Portal mobile app, launching this end of February keeps you in the loop with the latest news at Ayala Malls. Be updated on the newest shopping promos, dining perks, as well as news about upcoming events, cinema schedules, restaurants, lounges, and transportation hubs. With Ayala Malls A-Portal, finding your favorite stores and rests, and getting a ride through Grab will be a breeze. At the same time, share your favorite finds with your family and friends online through the check-in and share feature. Next, Ayala Malls partners with Globe for their wifi. You will be able to experience internet capability to up to 100mbps. I can vouch that I can always depend on Ayala Malls for their wifi! Ayala Malls also launches its One Concierge Hotline that has an easy to remember 7-digit hotline number - 795-9595 and connects all Ayala Malls across the country! And as always, Ayala Malls never ceases to give us so much love, because they showered us with so much Valentine's day gifts! From Glorietta to Abreeza Mall, we had a gift each! I felt like I was on a date with all Ayala Malls! Thank you so much, Ayala Malls!! And my favorite part! See the different heart installations of young artists around Ayala Malls. 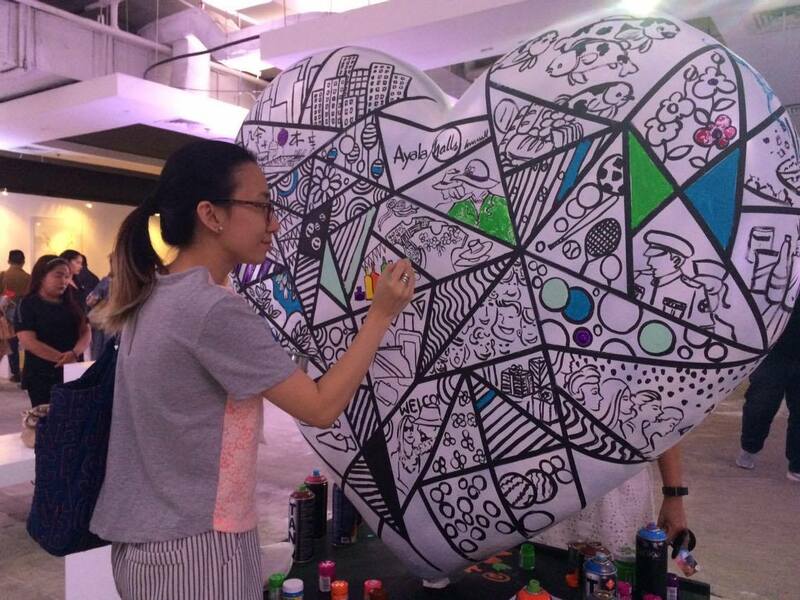 :) We also got to paint a huge one doodled by Nica Cosio. I wonder where they'll place this? Hihi! Wishing you all a happy and fun weekend ahead, guys!!! Isn't it amazing at how a simple heart symbol brings smile to our faces? What more if its beautiful art pieces such as those in your photos? 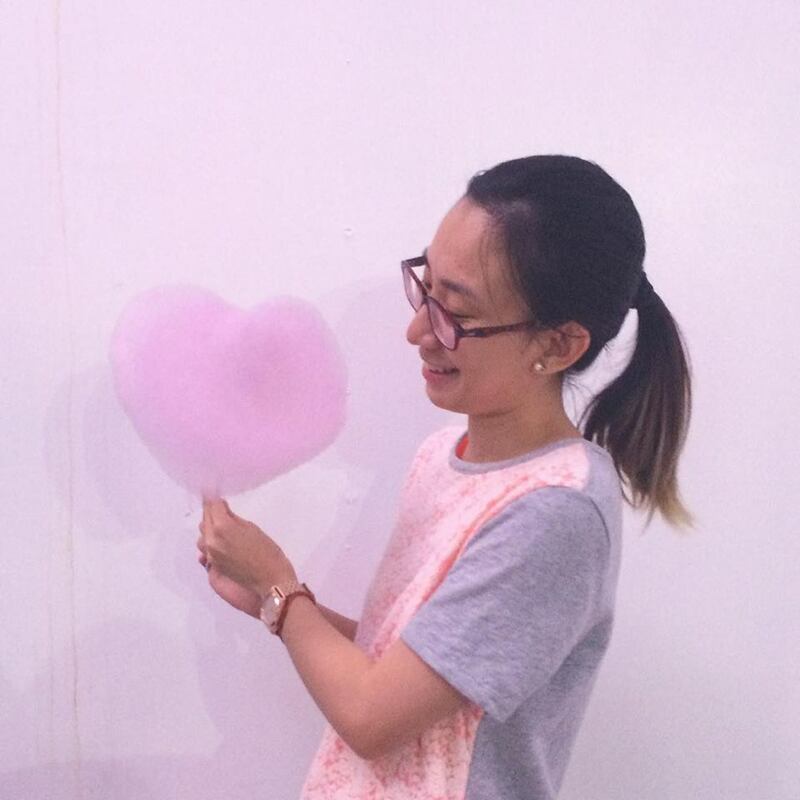 I was at Fairview Terraces the other day and yes, I've seen the HeART in their activity center. If only I had no other business there, I would love to just sit in that area and really feel Valentine's day.